This cheesecake will mean you escape, sugar and other nasties but keeping the enjoyment! Whichever clean eating diet (low carb or paleo meals) you follow it is almost impossible to find healthy desserts. Many depend on artificial sweeteners or fruit to replace sugar. As far as paleo dessert recipes go, these are rich and creamy without the use of refined sugars or artificial sweeteners. 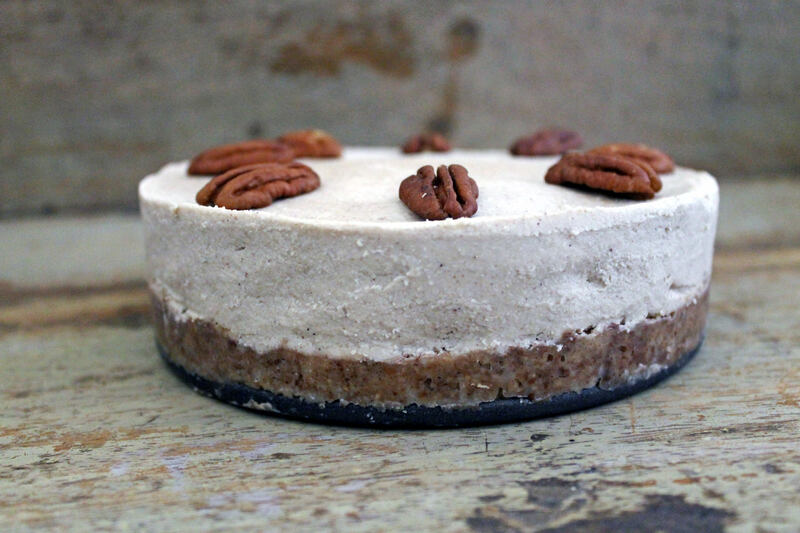 This paleo dessert recipe is both dairy and gluten free but it is also low carb friendly. With no cooking involved, this cheesecake is incredibly simple to throw together. The key to making this rich and creamy dessert lies in the preparation. The cashews need to be soaked for 4-6 hours in advance, making them lovely and soft. This will ensure they blend well and create a beautiful silky smooth filling. Vanilla and cinnamon are the key to bringing a little sweetness to this sugar free treat and you may wish to adjust the quantities below according to taste if you would prefer a sweeter dessert. 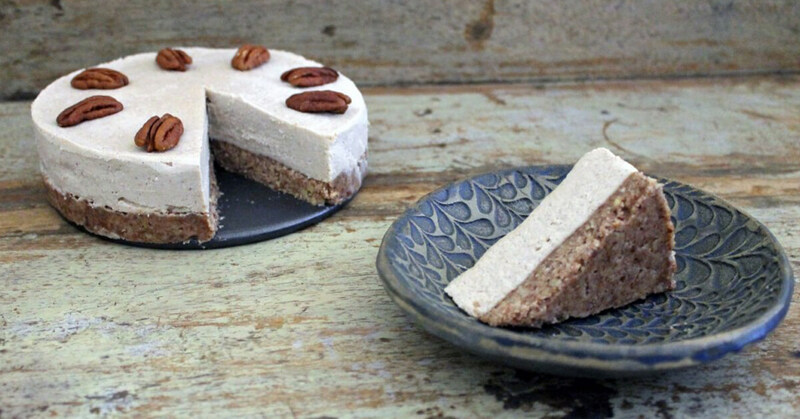 With all the richness and texture of a regular cheesecake, this Paleo dessert offers a little bowl of pure indulgence as well as a nutrient hit. 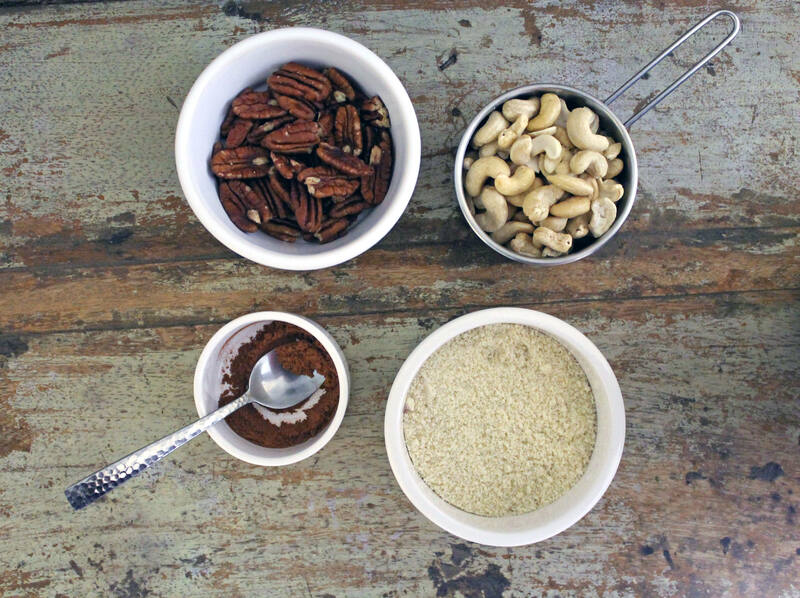 To make the cheesecake base, add the whole pecans to a food processor and pulse until the texture is crumbly but not too fine. This will add a bit of crunch to the base. 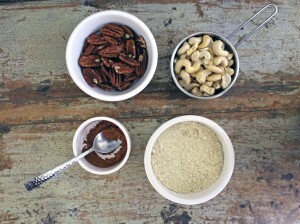 Pour the melted coconut oil into a mixing bowl and add the ground pecans, ground almonds, cinnamon, vanilla and salt. Stir thoroughly to combine, but don’t overwork the mixture. Pour this into the loose bottomed tin and press into a flat and even layer to form the base. Place this in the fridge to set while you make the filling. 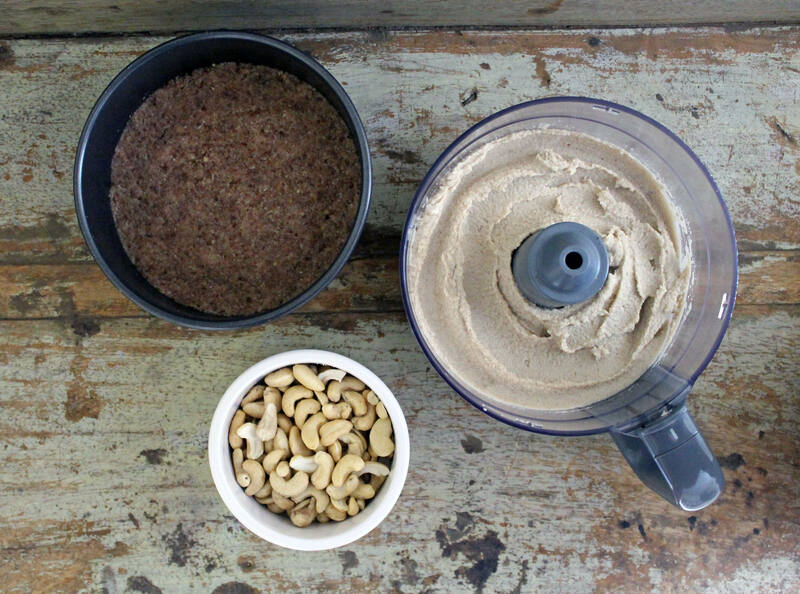 Add all the filling ingredients to the food processor and blend on a high setting until you have a very smooth consistency. This may take a few minutes. Once the filling is completely smooth, remove the cheesecake base from the fridge and spoon the filling over the top. Use a spatula to ensure the filling is level and smooth on the surface. Cover the tin securely in plastic wrap and freeze for 2 hours until set. Remove from the freezer 30 minutes before serving and decorate with pecans to finish. This will keep in an airtight container in the fridge for up to 5 days!